Exploring The Geometric Nature of Light Through Reflection And Refraction. Japanese contemporary product, industrial designer and artist Tokujin Yoshioka certainly transcends any boundaries within the design and art sphere. With collaborative design clients such as Issey Miyake or Louis Vuitton, his own artist practice has developed into an experiential and all-encompassing considered form of artistic expression. 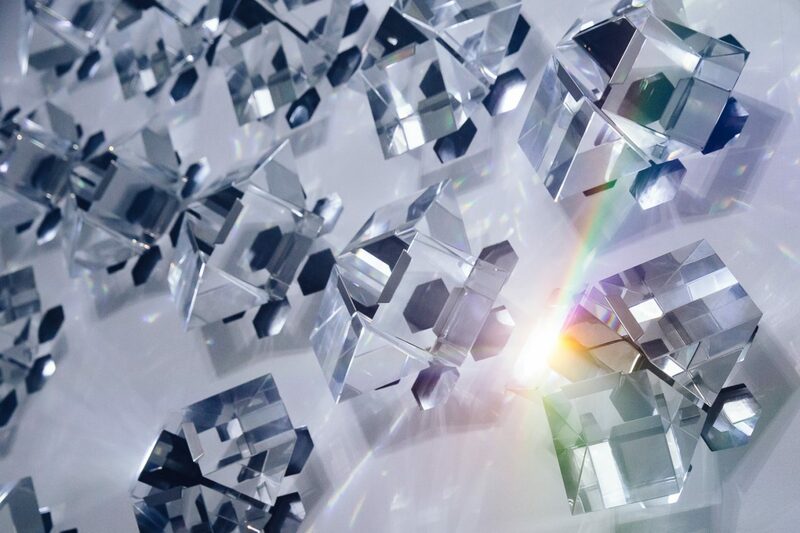 Constantly challenging perceptions of light and space, Tokujin continues his investigation and correlation between nature, science and technology, with the results in his work proving visually mesmerising and boundary-pushing. Always taking nature into consideration in his approach, with a mindful exploration in materials from glass and brass, to the capacity and spontaneous formations of mineral crystals. 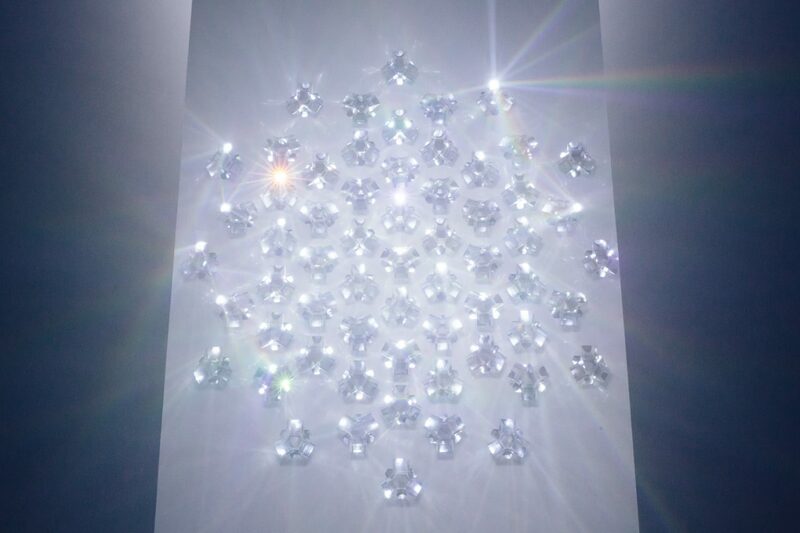 Tokujin’s latest installation work Spectrum, involves numerous crystal prisms placed in direct reflection of light that refract and bounce infinite rays of colour throughout the wide and white, gallery space. 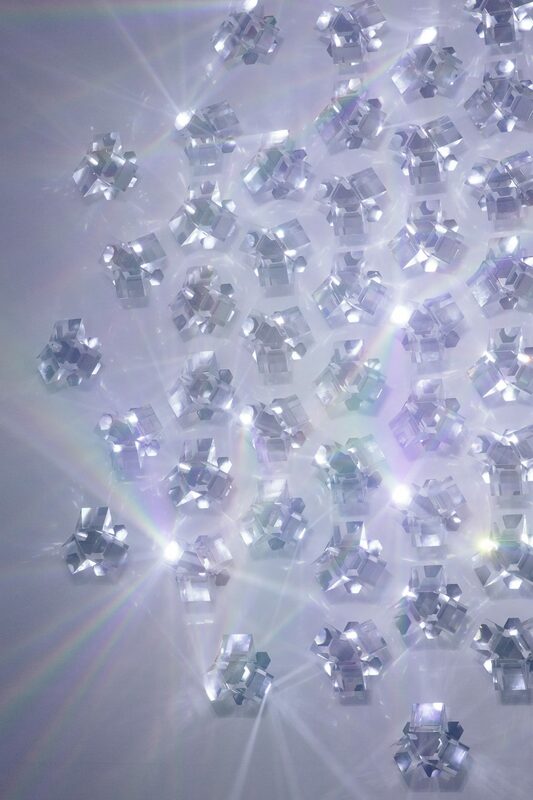 It is a concept developed by Tokujin, and one that also took inspiration from the theory of light and prisms by Newton, who maintained that the geometric nature of reflection and refraction of light was could only be possible if light was made of particles and not waves. 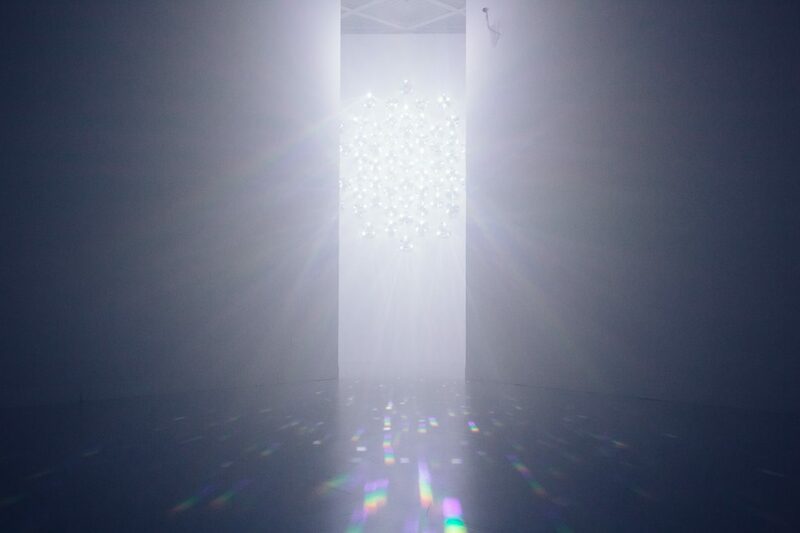 Whether to challenge and inspire your own perceptions of light and space, Spectrum is an immersive artwork and an example of work from one of Japan’s leading contemporary artists. 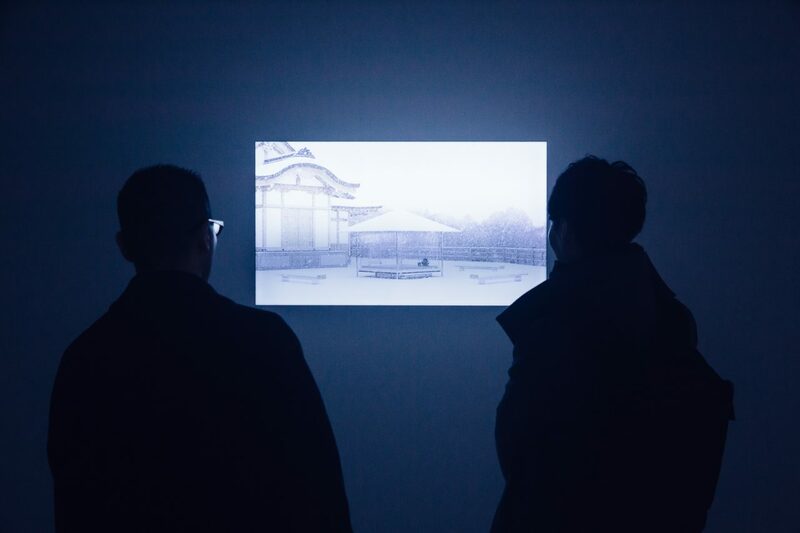 Below, an image of his KOU-AN Glass Tea House now situated in Kyoto (initially commissioned and presented at Glastress at the 54th Venice Art Biennale in 2011). Spectrum was held at the Shiseido Gallery in Ginza, Tokyo between 13 January – 23 March, 2017.